For a businessperson, following the latest trends of the industry is a surefire way to be on the toes. For example, in the recent years, SMS marketing has come up as an out-of-this-world way to promote a business. That is why, with the view to earning a better competitive edge, a mass of businesspersons is following SMS marketing and are witnessing a variety of unprecedented benefits. However, according to another business rule: ‘Never take on anything unless and until you turn up its fundamental reasons for success.’ With that said, we have come up with five salient reasons to help you understand below – why and how SMS marketing can make the hard-hitting initiative of a business promotion a real smasher. As a business, you certainly want to put your products/service on a brisk sale; and considering the same, you would be looking for an effective communication mode that can help you reach out to your target audience. Considering the option of calling each and every target audience, this is practically not a down-to-earth approach due to the factors of consumption of time as well as cost. Plus, in general, most numbers of customers are reluctant to pick up phone calls during the working hours or if they pick up the call, they tend to get easily irritated. With said that leaving a message on their mobile phone seems an intelligent idea. The nitty-gritty of messages is that people typically read the message in their free time and if they find it appropriate, then will also get back to you to buy your services or products. This way, SMS marketing is the thing to cater to your need. It indeed consumes a great deal of money and time when it comes to getting brochures, templates, hoardings bill-boards and other pertinent things printed to advertise your latest deals or freshest offer in the city.Also, it is not out of the ordinary thing to notice that most of the time all these things go unobserved and lay waste to your efforts and your money. On the other hand, delivering an SMS to the customers’ mobile device will not go unnoticed. The receiver will certainly have a look over the same and if your offer is engaging and effective, then the customers will certainly avail of it. It does not require any technical know-how to carry out any SMS marketing campaign. On the other hand, it is quite difficult to deal with others option such as call, mail etc. Plus, they do not give any surety of delivery of information. SMS marketing is a simple and a suitable method to deliver the information to the target audience. Compared to other traditional or modern-day marketing methods that are markedly costly and time-consuming, SMS marketing is not only instant but also pocket-friendly. It will only take a few bucks to send a message on mobile phone. It offers an improved level of ROI compared to other available options. SMS marketing offers a down-to-earth way to touch base with the clients. Plus, clients need not spend even a single buck to get back to your message for the feedback. Thus, SMS marketing is a largely customer friendly option for marketing. 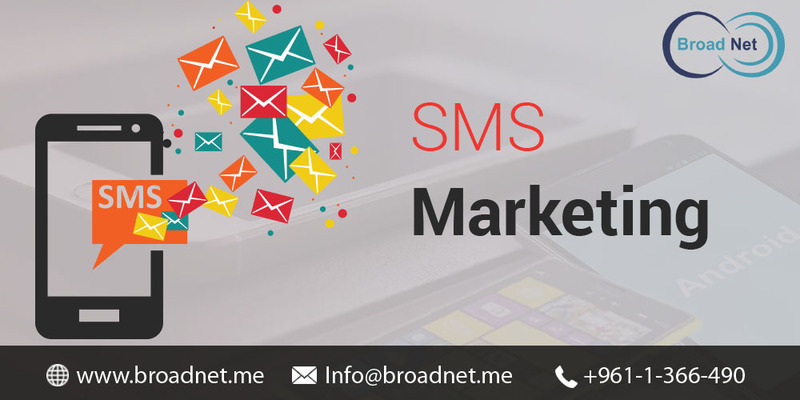 Why not try out BroadNet Technologies for getting the best SMS marketing services without costing you a fortune. Visit our website www.broadnet.me for complete pull of information about our services.